Every year, a week in October is designated as Operation Safe Driver Week according to the Commercial Vehicle Safety Alliance. During this time, enforcement of road safety rules will be increased in North America. The additional level of enforcement will apply to both commercial and passenger vehicles out on the road. This will include safety-belt checks, roadside commercial vehicle and driver safety inspections. During this week there will also be educational programs geared toward safe automobile operations semi-trucks. 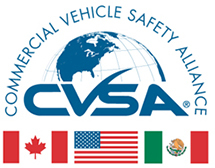 CVSA Executive Director, Steven Keppler said, "Inattention, poor awareness of traffic conditions and unsafe maneuvers by drivers are leading causes of fatal crashes between passenger cars and commercial vehicles." This week is especially important as all drivers are reminded that safety should be the number one concern when out on the road. This is particularly true for those in truck driving jobs as they are operating a big diesel engine with a 10 speed transmission attached to a 53’ long trailer. Safety is the main focus at our CDL training program through the Driver Solutions Network and the goal is to prepare drivers to treat every week like CVSA Enforcement week.